Now Lieutenant Governor Gavin Newsom says he intends to take a ballot initiative directly to the people of California, bypassing the Legislature. 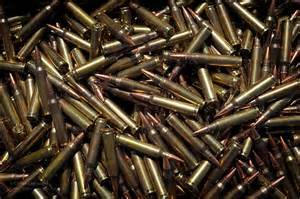 The “Safety for All” measure takes aim at ammunition sales. Specifically, it would require background checks at point of sale before ammunition purchases, treating them the same as gun sales already are in California. In addition, it would require gun owners to get rid of large-capacity magazines. Sale and ownership of military assault-style weapons are already banned in California and this would close a loophole that continues to allow ownership of ammo for those weapons. Large-capacity magazines have been used in some of the most horrific mass shootings across the nation such as the Sandy Hook Elementary School massacre. A federal ban on such weapons has been allowed by Congress to expire in 2004. How well do background checks work? According to the bill’s authors, background checks have already prevented over 2.4 million gun sales to convicted criminals or other illegal purchasers in the U.S—blocking 225 felons from buying a gun every single day. If the measure qualifies for the ballot, expect strong opposition from the NRA and gun owners who claim the Second Amendment to the Constitution guarantees the right to bear arms of any sort, for self-defense, hunting or other lawful purposes. But others note that the Constitution, written after the American Revolution, specified only the right for members of a well-regulated militia members to bear arms and was written long before the invention of assault weapons or the misuse of them to commit mass murders. Same guy who ignored marriage laws when SF mayor?